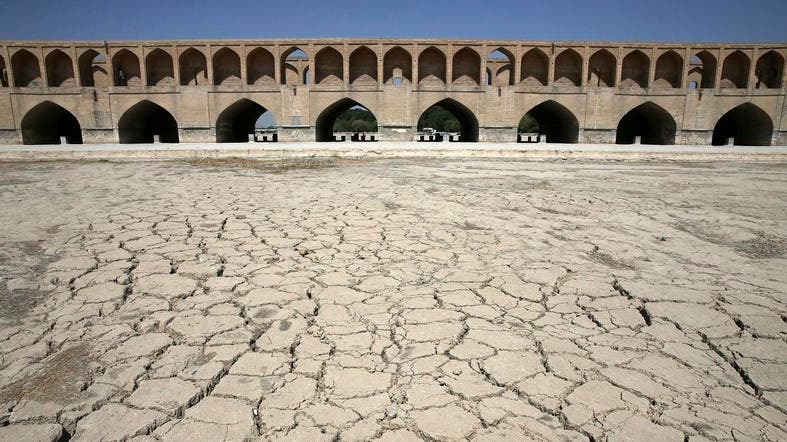 Iran is currently suffering from shortage and lack of water and certain policies have been put in place by the Iranian government that put the country in the current situation. 1-	One of the causes of water scarcity in southern Iran and the rest of the country is because of extensive and generally non-scientific dam building by Iranian Revolutionary Guards (IRGC). The lands that have been dried up by these dams are grounds for particulate storms. 2-	One example is the Gotvand Dam in Khuzestan. The dam was built on a salty ground. Environmentalists warned at the time of construction, that the water that will be built up behind the dam will dissolve the salt bed and turn it into salt water. However, the project continued, and the result was that not only the water behind the dam became salty water, but also many of Khuzestan’s land suffered irreparable damage due to water salinity. It is estimated that water salinity will continue for at least over a decade. The Gotvand dam project was in the hands of the Revolutionary Guard Corps (IRGC). The IRGC has a large economic establishment called the Khatam-ol-Anbia Construction Base. The IRGC has a specialized company in the field of dam building called Sepasad. The IRGC has earned huge revenues in this area, and under the cover of economic work, is financing its forces in the war in the region. Giving economic projects in Iran to the Revolutionary Guards is an excuse to transfer funds to the IRGC, but one of the consequences for the Iranian people is the drought caused by the IRGC projects. 3-	In recent months, we have witnessed mass protests in Khorramshahr, Borazjan, and villages around Kazeroon. In July, people of Khorramshahr came to the streets for lack of drinking water. The IRGC responded to their protests by firing bullets. 4-	Khorramshahr is located near the Iraqi border and many of the IRGC terrorist movements are carried out there. This city is located near the Karun River, but it does not have drinking water. People were alleging that the IRGC had sent Karun water to its forces to Basra in Iraq and to attract local people. 5-	Also in July in Borazjan, which was suffering from lack of water and people were protesting, the IRGC attacked Kazerooni farmers' pumps and killed one of the farmers. 6-	It is necessary to pay attention to the extensive dam buildings that have been carried out by the IRGC in different parts of the country. According to official announcements in the last 15 years, the average water collected in the reservoirs of these dams was slightly more than 40 percent of the capacity of the reservoirs. But the real consequence of this is to disrupt the ecosystems in the areas where damming has taken place; areas that have dried up in this way, and since other natural floods are not flowing in them, have become the source of particulates. 7- Areas such as Ghahdaridjan in Isfahan province, Doroud in Lorestan province, Izeh and Dezful in Khuzestan province, each of which somehow suffers from the shortage of water and its effects on the agriculture of the region, the immediate consequence of which is the economic downturn and the spread of unemployment. 8- Drilling hundreds of thousands of deep wells: In Iran, hundreds of thousands of deep wells have been dug for use in industries related to the IRGC or private industries by paying bribes. Drying of Lake Orumiyeh is partly due to 80,000 deep wells dug around it. 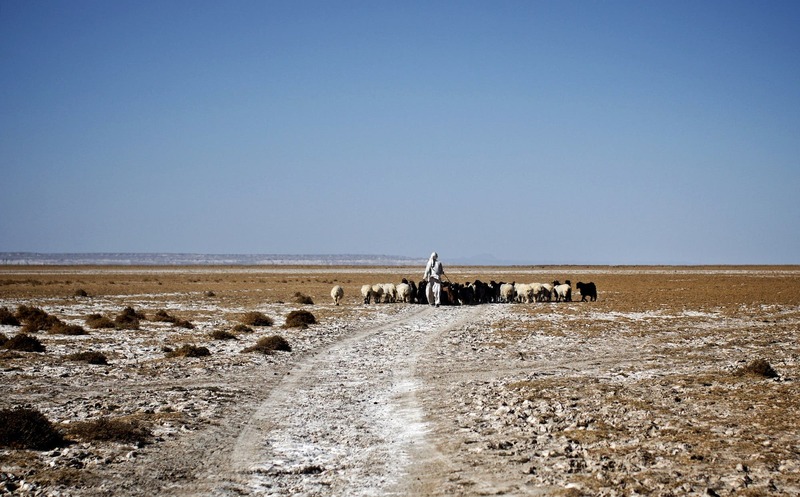 Many areas in Iran are being desertified, which will then be permanently uninhabitable. 10- According to the IRNA State News Agency, in May 2018, a member of the city council said about the situation in the city of Ahwaz: "The situation in Ahwaz currently is very dangerous and volatile. There is no drinking water in all of Ahwaz, and consumable water is red. It has the smell of mud and infection. Last year, in 2017, only one day in a month or a few weeks, this situation existed for water, but now it continues constantly in all parts of the city. It has been reported to the authorities and they themselves have seen it. Even in Kouye Abuzar district in Ahwaz, the majority of the people signed a petition that it has been five years there is a bad smell of water. It is not drinkable, but nobody cares for it, even for farmers there is no water, and now we have about 4,500 farmers who have been unemployed. In May more than a thousand people protested and gathered at the water treatment plant in Ahwaz and protested. Most of them are getting sick due to water.” Lack of water has also created problems for farmers in the province, and farmers in the province are also in crisis. New developments and news on Thursday, July 5. 11-	On July 5, 2018, Iranian state media reported that: The lack of water in some areas of Izeh has caused some people in this city to get their needed water from mobile tankers in hot summer temperatures. The city of Izeh, despite being located among the lakes of several large dams, faces water and electricity problems. 12-	On July 5, 2018, Iranian state media reported that many cities including Ahwaz, Khorramshahr, Mahshahr, Abadan, Karaj, Khorramabad, Shahroud, and Qazvin were in a state of low water and power failure. 13. According to official reports in the summer and autumn of 2018, 334 cities with a population of about 35 million will be exposed to water stress. 165 cities with a population of 10.5 million are in a yellow state; 62 cities with a population of 6.8 million are in orange and 107 cities with a population of 17.2 million in red water stress state. 14. Agriculture in Iran accounts for more than 90 percent of the country's water resources, but in practice, less than 15 percent of the land in Iran is under agricultural operations, and less than 18 percent of the country's employees are engaged in this sector; in the situation of water shortage, especially in the areas where the occupation of many people is agriculture on the land, farmers are the first economic victims of the water scarcity and lack of water. Examples of this situation can be seen in North Khorasgan, South Khorasgan, East Isfahan farmers, Khuzestan farmers. 15-	People who have been employed in agriculture or livestock will no longer be able to maintain their past jobs in the absence of water. These people emigrate to the margins of larger cities within the province or migrate to the margins of the big cities. The marginalized populations are farmers and livestock farmers who have been driven from the rural areas to the periphery of the cities due to water shortage or drought. Hassan Mahmoudi is a human rights advocate, specializing in political and economic issues relating to Iran and the Middle East. Follow him on Twitter at @hassan_mahmou1. Rowhani tests diplomatic waters: Is 2015 Iran’s year?